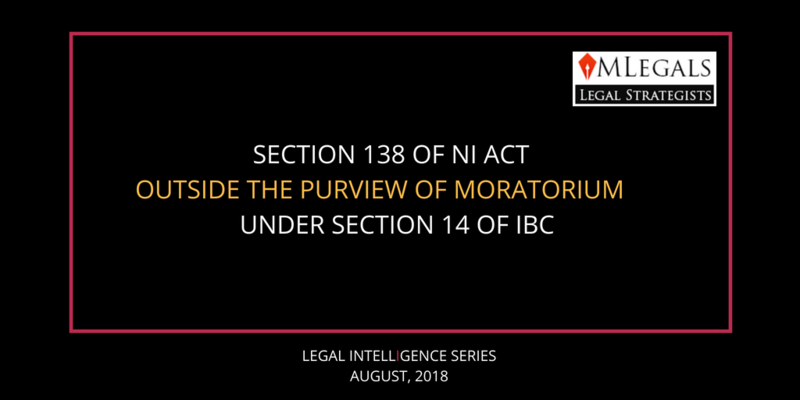 The current case in question revolves around two complaints filed by the Appellants under Section 138 of the Negotiable Instruments Act, 1881 one prior to the initiation of Corporate Insolvency Resolution Process and the other thereafter. Section 14 of IBC has four limbs. All such limbs are contained to commercial aspects in its entirety. It nowhere talks about penal actions of fine and/or imprisonment. Hence, the moratorium is per se for actions related to commercial claims alone.